U.S. Criticizes Thailand's Deportation Of Uighurs To China : The Two-Way The ruling junta in the Southeast Asian country ordered 100 ethnic Uighur Muslims to return to China, where Washington says they "could face harsh treatment and a lack of due process." A group of Uighur protesters demonstrate outside the Thai embassy in Ankara, Turkey, on Thursday to protest Thailand's deportation of 100 Uighur refugees back to China. The U.S. has condemned a move by Thailand to deport more than 100 ethnic Uighur Muslims back to China amid fears that the refugees will be persecuted by Beijing authorities. Michael Sullivan, reporting for NPR from Thailand, says the Uighurs fled China more than a year ago and were detained while Thai authorities tried to figure out what to do with them. About 170 were sent to Turkey last month, and the remainder were handed over to Chinese authorities Thursday. U.S. State Department spokesman John Kirby said the deportees "could face harsh treatment and a lack of due process" in China. "This action runs counter to Thailand's international obligations as well as its long-standing practice of providing safe haven to vulnerable persons," Kirby said in a statement. "We remain deeply concerned about the protection of all asylum seekers and vulnerable migrants in Thailand, and we strongly urge the Government of Thailand, and other governments in countries where Uighurs have taken refuge, not to carry out further forced deportations of ethnic Uighurs." Thailand's move comes as the country's ruling junta, which toppled an elected government in May 2014, moves closer to Beijing amid criticism from Washington of the military government's poor human rights record. Thailand's deputy government spokesman, Maj. Gen. Werachon Sukondhapatipak, is quoted in The Bangkok Post as defending the move to deport the Uighurs, saying: "We have followed proper procedures." The Post reports: "His [defense] of Thailand's actions followed angry scenes in Istanbul, Turkey, overnight, when a mob broke into the Thai consulate in Istanbul to protest against the decision to deport the Uighur refugees to China." 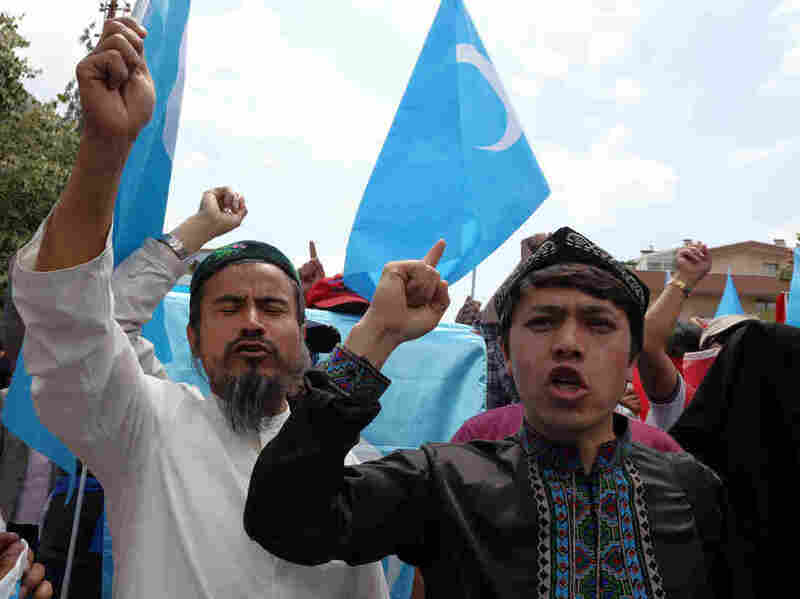 The Office of the United Nations High Commissioner for Refugees also condemned the deportation of the Uighurs, saying it was "shocked" by what it called "a flagrant violation of international law."